the ocean lay flat and endless, gleaming in the morning sun; fluffy white cumulus clouds took their place across wide blue skies, far away in the distance a thin arc invited… horizon. a squabble of seagulls rose from an unseen corner and flew past the sun. the sound of water murmured all around, and there was a touch of frangipani in the scent of the land. sand. powdery, soft, fawn coloured sand stretched far and uncluttered along the private beach; here and there on the shoreline, groves of coconut and other palms, bursts of bougainvillea in bright shades; and by the patio a years old frangipani tree with its greyish bark, its surface dotted with little bumps, its spreading umbra crisscrossed with a lacework of gnarled branches. hardly any leaves, just large, bunches of luscious red frangipani with orange and yellow streaked hearts. asr sat on the patio scowling at the languid ocean. his forehead was creased, his lips pursed, his eyes smouldered. Nothing was going the way he’d planned. he had wanted to solve issues, instead everything was in a state of unrest. no, that’s not correct. and correct was important. he was in a state of unrest. he was unable to concentrate, to do what he’d come to bali to do: get the new project into shape, get a handle on the concept, the look, the feel of the collection. and of course source materials; there was a most interesting group of european designers and artists based here that used organic materials and combined western lines with balinese colours and sensibilities, he’d been keen to work with them, bring a touch of this contemporary mindset to ar’s new presentation, this emerging attitude where borders are crossed easily, intriguing fusion takes birth, yet identities aren’t lost, instead nurtured, taken forward, and made relevant, active, fresh. fresh. he inhaled in exasperation. why couldn’t he focus dammit! this was not working at all. his frown deepened. the pursed lips thrust forward. perhaps they should cut short the trip and go back. it had been two days already. jean pierre and he had met for hours and tried to brainstorm. from the beach to the bar, to glass bottom boats, they’d been everywhere in search of that elusive what’s it… but nothing. lavanya had tried to help, she was smart with what the market wants, but all he could see were frangipani and a face turning toward him, a smile breaking… and a silly jhumka dangling right by it. he grabbed the vase of frangipani on the table by his breakfast and hurled it at the pillar at the edge of the patio. she was practically crawling on the sand now in her bright yellow churidar kurta, with lovely gota circles which she’d sewn herself. her mojri kept slipping off, so at one point she took them off and left them on the sand, along with her little bag; and continued peering around, completely absorbed. in her hand was a big handkerchief clutched tight. every time she found a shell, she gave a little squeal and put it into the handkerchief. her eyes fell on a large elliptical shell buried in the sand, she was stunned by the colours and quickly pushed the sand aside to pull it out. oh the blues and greys and pinks swirling on the smooth surface, she leapt up and did a little jig. then she stood still, closed her eyes, clasped her hands in a namaste and sent up a fervent prayer. “‘oo are you speaking with, my sweet khushi, standing all by yourself in ze loveliest beach of balee?” there was an amused but gentle note in jean pierre’s voice as he looked at this perfect misfit on the beach. he’d seen her crawling and springing to her feet, her clothes not even slightly different for the beach. and why should they be he thought, she looked so wonderful and sunny, adding to the image of the idyllic tropical morning by the sea. tres bien, his eyes approved. her eyes of course instantly flew open and grew round quickly almost bumping into him, “jon piye ji!” she exclaimed, a smile beginning to appear. then she paused and swallowed violently. jean pierre wasn’t wearing anything! “goddess? you are speeking with ze goddess?” jean pierre was naturally somewhat thrown. “bon…” jean pierre was still perplexed but decided it was ok. bon. the young designer looked at the lovely girl in yellow and gold with many things hanging from her sleeves, her collar, the little tie at the back, her ears, and a light joy radiating all around from this not very usual indian girl and couldn’t help but smile back. “come, shall we go to ze ocean and deep our toes?” he asked. with that jean pierre grabbed her hand and ran toward the water’s edge. the sun was getting higher every second, she could feel its heat on her back as she was pulled along, a bit scared, but excited nonetheless. the ocean looked like it had no end, it went on forever. hamesha. like the skies and her stars and and the horizon there where blue met blue. “asr!” lavanya stood leaning against the pillar in a red bikini. every line of her perfect toned curves looking lovely and rather inviting. asr continued to look out at the beach. his scowl intact. “we haven’t come here for a holiday, lavanya,” he didn’t bother to turn his gaze, the smoulder in his eyes had spread to his voice. he could see a figure in yellow crawling on the beach, then leaping up and hopping around. “but asr, all work and no play…” she leaned toward him, her smile cajoling, trying to get him to agree. why was she standing so still suddenly and looking up at the sky, he wondered, and then thought, who cares. that khushi kumari gupta was a menace. he had had it with her. “aren’t i looking nice, baby, don’t you want to spend a teeny weeny bit of time just with your la…?” lavanya’s voice had grown soft and pleading. lavanya made a hurt little moue and sashayed away, still hoping asr would catch sight of her alluring back and maybe give in. he had just seen jean pierre come up to khushi. and now they were running toward the water, hand in hand. he cursed under his breath. and went back to looking at the papers before him, spread all over the table, the floor, some pinned on the wooden pillars that skirted the patio. a funny sensation around his ears. something is wrong. he had no idea why he thought that but he looked up quickly and even before any thought could register he was up and running out of his villa, down the hot sand, kicking off his havaianas as he raced toward the water. the sun was in his eyes, he could not see too clearly, but his feet took him hurtling over the soft powder, his toes sinking in but resisting with all their might… he had to get there fast. when he came up to the water he could see flailing arms, a head bobbing up now and then and a swirl of yellow in the blue a few hundred metres into the undulating waves. his breath paced up, he felt something clutch his insides. was that jean pierre trying to get to her and struggling against the current? he didn’t wait to find out. he charged into the ocean, and as it rose up to meet him, he thrust forward with strong powerful arms slicing the water, legs kicking and swift. nothing could hold him back it seemed. not the backward tug of his loose white linen shirt or his blue jeans, not even the under current. the ocean flowed in and ebbed, its push and pull constant, unrelenting, asr swam on, hoping she would not be swept away, he’d get there in time. suddenly he felt something strike his arm, it was her leg, hitting out with force. he’d reached her. he pulled her leg fiercely to him and grabbed her by the shoulder, treading water. his feet seemed to find a solid base beneath, they were still in the shallows, the tide had not yet started rolling in. he looked at her, her eyes were wild with fear, water streamed down her face and hair, she was breathing raggedly, sobbing, he could hear a whimper escape her lips. then she went limp. he swore under his breath and started swimming back with her just as fast as he had before. the last few metres he carried her in his arms and strode out of the sea, he didn’t stop till they were well into the beach where there was no chance of the water rushing in. then he laid her on the ground and crouched down, patting her cheeks a little sharply. and he heard her breathing, a little laboured but she was breathing alright. he felt a rush of relief all over him. for a second he couldn’t move. he just swallowed hard and sat in the sun. when he could, he turned her face to one side, so that if she had water in her mouth or nose, it would drain out. “khushi! open your eyes, look at me… look at me dammit… why aren’t you opening your eyes… you’re okay. understand? okay? there’s no water here… you’re fine, now open you eyes WILL YOU!! !” he was practically shouting by now. “ahhnav! is she okay?” jean pierre had come up to them, “i was about to tell her to jump when the leetle wave came in, but before i could, she was gone…!” he sounded frantic, breathless. “hey! hey! ahhnav, my friend, take it easy… i know, i am sohrree…” jean pierre looked at the man in front of him beside himself with palpable worry, even fear; he felt terrible about the incident and really the thought of khushi in the water helpless… he shook his head silently and sank down on the sand by them. “ma cherie, you okay? ca va? 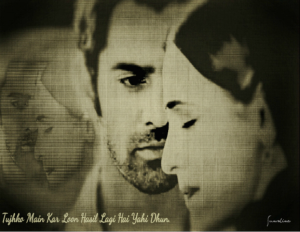 speak, khushi, please, sweetheart,” he called gently to her as she lay prone. asr glared at him. he was about to say something when khushi moved a little, then opened her eyes. both men turned to stare at her. payal was staring at the ocean, sitting in the shade of a tree. she wished she knew how to swim, the water looked so beautiful. she had a note pad on her lap and she was writing her first letter from a foreign land to her family. it all felt so strange, so wonderful. who would have thought just a couple of weeks ago that payal and khushi kumari gupta of gomti sadan, lucknow, would be sitting in a plane, flying, going off to a country outside india. a magic island, she thought, and so pretty. she was surprised beyond belief to hear that this was once a hindu kingdom, in fact people still practiced hinduism here. there were temples it seemed everywhere. 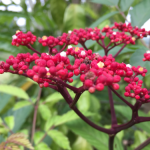 she hadn’t seen one, but she had noticed the little packets made of leaf with a frangipani or hibiscus flower and other prayer things left on street corners, in front of doors, even on the beach. they were daily offerings to the gods, the friendly girl at the reception had told her. payal was entranced by the sense of beauty all around her. how pretty the little villas were, they looked like simple huts, each with a little private pool of their own and a lily pond on one side, where water lilies bloomed. in the bathroom she’d noticed charming joss stick holders that looked like frangipani flowers, oh how she wished she could take one back for bua ji and one for amma, and maybe one of those stone lizards for babu ji, he would like that and tease khushi with it surely… “bitiya, i have found the perfect husband for you,” she could almost hear him laughing and getting after khushi. it was a standing joke in the family, the matter of khushi’s husband. whenever anyone said once payal was married khushi would also be married off, khushi would scream and say “never!” she was going nowhere, she’d stay right here with babu ji and amma. and that’s when babu ji would start talking about finding her a good pati… no no not just pati, pati dev… your husband is like god, he’d guffaw. khushi would chase him with a pillow or a poori, whatever she could lay her hands on. he’d point to strange things and retort, there, for you the ideal one… this frog… or this crow, or whatever. payal was quietly laughing to herself when akash came and sat next to her, “good morning, payal ji,” he said with his pleasant friendly smile, the corner of his eyes crinkling behind his glasses. “uh, er, ghfgjh… ye-ess haan haan bilkul… you know, ah huh…” payal wondered why akash ji was so incoherent suddenly. had she said something she shouldn’t have? he’d been very kind to her in the plane, told her not to worry, there’s always a first time, and once it’s done, it’s over. he had told her of his first flight. it was from delhi to bangalore when he was about 11 years old and his mother’s cousin got married to a girl from the “south”. he had been very scared but stuffing his ears with cotton wool and eating candy nonstop had helped, he’d explained. payal remembered laughing at this and feeling her apprehension dissipate. 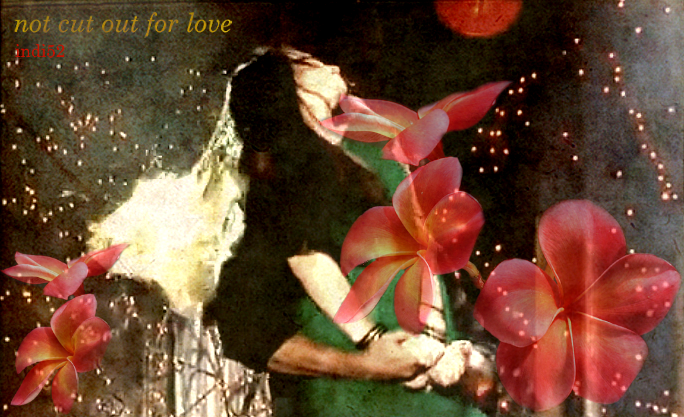 later, khushi had sat next to her and held her hand tight when they lifted up into the sky. payal had felt her stomach empty out, but then when she looked out of the window and saw the world falling away rapidly beneath her, somehow she hadn’t felt scared, she was excited. now sitting here, she wished she had some work to do, for the past two days they had just walked around, eaten lovely food and slept. she wondered if this was the right thing to do. after all, khushi was supposed to work, and it was really not fair to have expected her boss to fly her, khushi’s sister, to bali too. but she supposed bua ji had insisted. but then, why was khushi not working? this morning she had traipsed off to collect shells. was she done, where was khushi? “yes? yes, jean pierre? she is right here… what? oh no… okay okay… we’re coming,” payal could hear akash reply. when his voice rose at “what?” she had a funny feeling. was everything alright? payal couldn’t bear the thought of her kid sister in trouble, her protective instincts came like a huge wave speeding and she ran inside to get clothes for khushi, akash decided he’d better go along with payal ji, she was looking really upset. he entered the villa with her, went straight to one of the bedrooms and set her down on the bed. his face was grim, his movements terse. she lay there, still winded, soaked right through, sand and salinity on her skin, her mouth, nose, eyes, everywhere. a little shiver shook her slight frame. he marched to the bathroom, switched on the lights, and came back with a bath robe in his hands. she looked at him petrified. why was he so angry? what had she done? she hadn’t meant to get drowned… she shivered again. he put the bath robe into her hand and stood back. she decided there was no point in expecting any understanding from this man and started to get up. the moment she stood, her head swung crazily and she almost fell down. she felt him grip her elbow and stand quietly while she recovered, he led her after that to the bathroom without a word. when she closed the door behind her, he muttered darkly, “i am right here outside,” and turned his back to the door. she came out after a quick shower in her bathrobe to find him standing where she’d left him. that’s when she realised he was not dry himself, he was in wet clothes in fact, his hair spiky and uncombed, sand clinging to his white shirt, some on his ears, the back of his neck, his hairline… she wanted to reach out and dust it off. what was wrong with her? this was that rakshas, that laad governor… that… that magarmach, she pursed her lips and stomped angrily to the bed and lay down flat closing her eyes. he watched her little drama unamused and wished he could yell at her right now, but she was too weak, still rattled by that bout with the ocean. later, he promised himself, he would let her know exactly what her place in life was… later. he could hear someone at the door. must be payal. he left the room without a backward glance. khushi stood at the entrance with a slightly crestfallen air. it was almost seven in the evening. he’d decided to let her sleep it off before having that talk he’d sworn to have. he took a long breath and another sip of the golden yellow single malt whisky from the glass he was holding. he needed that drink badly today. 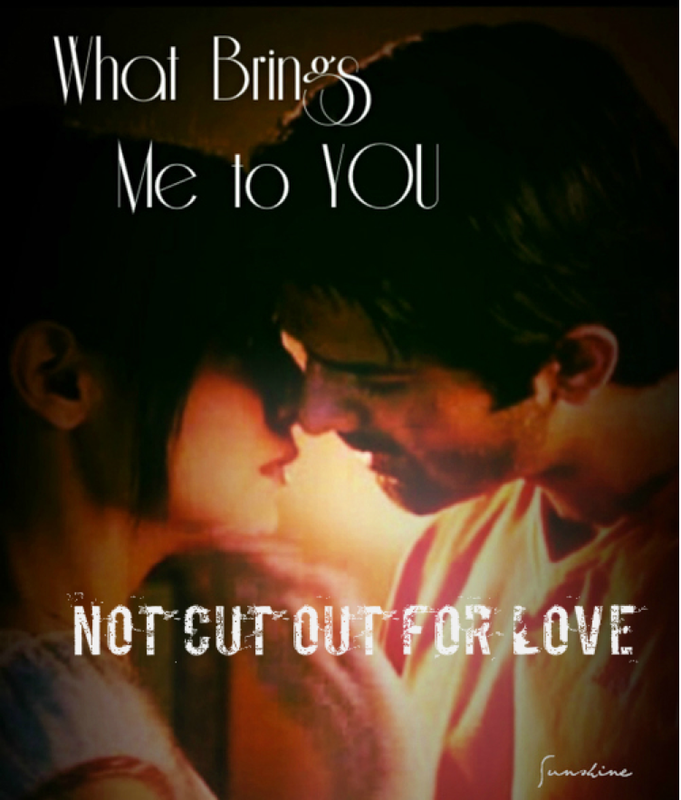 “yes, miss gupta,” asr tried to keep his voice calm. he would not lose his cool. work had suffered enough. at the “miss gupta, ” she looked up, so she was back to miss gupta. he looked at her at last, there was a troubled look in his eyes and of course anger. warm yellow swirled in the glass, dark igniting chocolate lit a pair of eyes. by now, the anger didn’t surprise khushi, but that other thing… that did. it bothered her. “let me go? let me go where?” khushi asked confused, not understanding what he meant. something made her want to rush into what she said next. “dekhiye… sir. i know i know, i am not working, but no one has told me to do anything… only jon piye ji…” he looked up at her at that, but she wouldn’t stop… “only he sometimes has called me and asked me things… or made me hold some material… he also asked me about these…” she pointed to her pom poms urgently. was that a hiss? a snake? she looked at him startled. he was standing now, his lips drawn in an angry narrow line. even more angry? hey devi maiyya, what had she done now? “miss gupta, listen to what… i… am… saying. 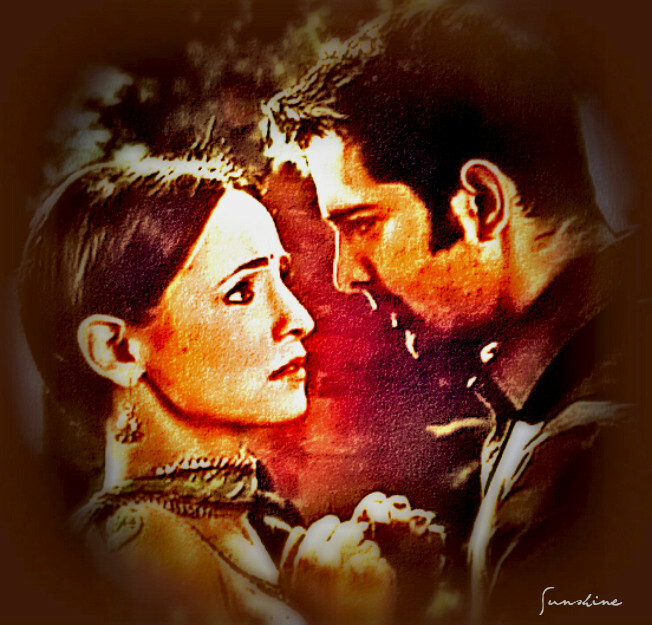 STOP BABBLING, will you!” khushi almost jumped at the fury in his voice, his eyes, the pulse throbbing at his throat. he looked away abruptly, his irises moved as if searching for something. he turned jerkily looking out of the window at the koi pond outside the bedroom. “the moment we return to delhi, you’re leaving ar… you can go back to lucknow if you like, or stay in delhi… that’s your wish. and… and, before you say anything else,” he held up his hand imperiously, “i know, you are doing all this for money… and since i am the one letting you go, you will receive a month’s salary, plus another three months’ full pay as per the terms of your contract…” he turned and looked at her then, she could see he was seething. she felt a sudden burst of anger beginning to crawl up her toes. she shifted on her feet, she must keep her cool. babu ji always said, when everyone starts shouting no solution can be found… she shifted again. her reply surprised him and stoked the anger, he was almost breathing fire. her eyes blazed and narrowed, her eyebrows danced up and down… they had a way of reflecting every little feeling of hers, especially ire or wicked laughter. today unfortunately, no laughter in them. as she acknowledged her need to have money, she felt babu ji’s words come to her again. she struggled desperately to bring her tone back to even. he stared at her without a word. “hum… hum… yeh kaam kar sakte hain… sir. give me a chance, i can manage, i will learn everything about fashion and… and…” she was scared but not willing to give up just like that. she would hold on to this job… it was a matter of only six months… then she’d leave. and before that, she gritted her teeth… she’d tell this man, this arnav singh raizada, a thing or two about manners. laad governor kahin ke! “really, miss gupta?! you can learn, is it?” he suddenly started walking toward her with that menacing air, something leaping in his eyes. instinctively sensing imminent danger, khushi took a step back. “what can you learn about fashion exactly?” his voice had grown silky smooth and really nasty, “you think if you hold hands with a young french designer and run into the sea you become an expert on fashion? okay, so tell me, miss gupta, what do you know about the human body… its proportions,” his left hand went to the top button of his shirt and he undid it with a swift flick of his thumb. khushi’s eyes widened, her breath nearly stopped, she walked back a few steps, he kept pace and loped forward… cat like, sinuous, predatory. khushi swallowed as her throat went dry. “tell me, a man’s shoulders to his waist… no no, his hips… WHAT would be the ideal ratio?” a second button was off, the voice fell like a whip, highs on certain words, smooth and threatening on others. “i thought you could learn fast… and SURELY staring at your young man’s bare body would have given you SOME idea?! !” he was not in a mood to be nice. khushi was terrified, “aa…aap, sir, aa…aap kya kar rahe hain?” she whispered afraid. her eyes brimmed with tears at that. he was about to snap open the fourth button, the one right above the waistline of his jeans, but then just as suddenly as he’d mounted his attack, he stopped and turned in one swift, convulsive movement and walked away. he struggled to regain composure. his eyes closed, his jaws hardened, he would calm down. he would. when he turned around there was no one in the room. an emptiness echoed all around. lavanya, akash, payal, and jean pierre were sitting around the table having dinner. the restaurant was right by the water’s edge, a beautiful night breeze blew, scent of flowers and the ocean in the air. payal was still not completely settled after the day’s events. khushi wanted to be left alone, she could tell something bothered her sister, but khushi was adamant. everything was fine, she’d insisted, she just needed some rest. “i am so sohreee, payaal, i ‘ope you will forgeev me,” jean pierre was contrite and still a bit shaken. payal looked up to answer, but before she could speak, la said dismissively, “oh don’t worry jean pierre, i’m sure she’s fine,” then throwing an arch look at payal she continued,”anyway, why these bahenji types who can’t even swim should come on this trip…” she shrugged and rolled her eyes. payal was too shocked by this unwarranted rudeness to answer. he sounded a little angry, payal was surprised, that felt so unlike the gentle man she’d seen till now. lavanya looked at akash, nonplussed. akash rarely lost his temper, and never with her. he was her friend… what was this girl doing? this behenji from lucknow. this chamkili. “behenji? ‘ow do you mean, la… what is zees behen… ji?” jean pierre asked in the middle of the awkward silence. “gauche?” jean pierre smiled… “ah… i get eet. but you know, la, i really think, khushi is more rive gauche… you know left bank? artistic, different.. originale…” he was smiling away happily, it was pretty obvious that he didn’t agree with lavanya on the matter of khushi kumari gupta. payal hid her smile behind her hand and pretended she was clearing her throat. lavanya said, “whatever,” and attacked the chilli crab sitting on her plate. jean pierre said, “bon,” twirling his glass of red wine and breathing in the aroma. asr walked along the beach, moonlight reflected off the water, palms swayed, he needed to clear his head… an idea seemed to be knocking wanting to burst in, he could feel the familiar excitement. what was that? his foot had just stepped on something that didn’t feel like sand. he stooped down and peered. there lay a pair of embroidered leather mojris, and a cloth bag. 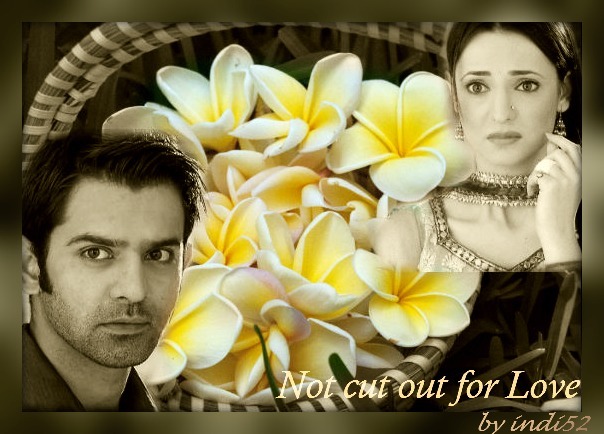 there was no getting away from khushi kumari gupta it seemed. he picked up the careless girl’s things. as he did so, something slipped out of the bag and clattered down. what was that? he saw a handful of shells lying by his feet. shells! she was collecting shells! unbelievable. he picked them up, threw them into the bag and continued with his walk. when he saw her sitting under a palm leaning against its stem, for some reason he wasn’t surprised. she was looking up at the sky, completely absorbed in something there. “tum yahan kya kar rahi ho?” he asked a little brusquely. he stared at the sky filled with layers and layers of twinkling stars. above clear stretches of nature where there were no human made electric lights to break the view, you could often see miles of stars on clear nights. there was a catch in her voice as she said the last few words. he looked down at her, now her head was bent. he swallowed hard, he had no idea why. then he thrust the bag and her mojris at her. she looked up and took them without a word. he said, “what crap!” under his breath and walked away.